How we discovered this unique oil. 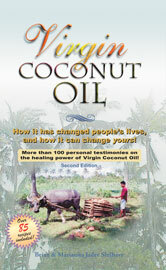 When I first read about the wonderful benefits of coconut oil, I asked my wife Marianita, who grew up on a coconut plantation in the Philippines, if there was a more natural way to extract the oil from the coconut, so that we didn't have to buy the refined coconut oils found in all the stores here in the Philippines. She said there was a method the older generation used to extract the oil by grating the fresh coconut, extracting the coconut milk, and then letting the coconut milk stand in a covered bucket for about 24 hours. After 24-36 hours, the oil naturally separates from the water producing a crystal clear oil that retains the full scent and taste of coconuts. So we started making our coconut oil that way and using it for our cooking needs with our three children. We couldn't believe how wonderful it tasted, and how great we felt. We had been living on Mt. Banahaw for almost two years by that time, and in the year 2000 telephone service was provided to our rural farming community, allowing me to put up a website about our Philippine Herbs. I decided to put our Virgin Coconut Oil up on the website, not really expecting people to order it because it was a bit expensive since we had to hire people to make the oil, and shipping cost a bit because of the weight. We were so surprised when people started ordering, and then re-ordering it because they felt so great after using it! They told us there was no other coconut oil like it on the market. Before long we had businesses contacting us asking how to order it in bulk. So we discussed how we could mass produce this kind of oil, and almost abandoned the product because we didn't want to lose the traditional way of making it. In the end, we decided to just keep making it the same way, by having others in our coconut community also make the oil the traditional way. 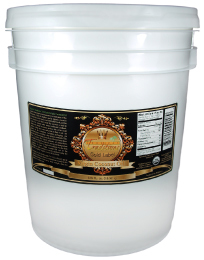 We were the first ones to export Virgin Coconut Oil from the Philippines to the US market. The success overwhelmed us. Today, more than 5 years later, there are other companies now selling coconut oil again in the US, most of them mass-produced by machines. But we are committed to time-honored traditional practices that have produced healthy coconut oil for hundreds, if not thousands of years. Independent laboratory analysis shows this to be one of the highest quality coconut oils on the market. Today when you buy Tropical Traditions Virgin Coconut Oil, you are still buying a coconut oil made by hand and benefiting families in the rural areas of the Philippines where the coconuts grow. Brian Shilhavy, President, Tropical Traditions, Inc. 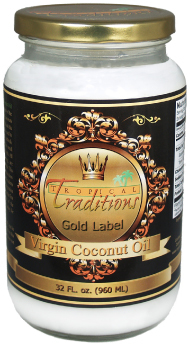 This Tropical Traditions Virgin Coconut Oil is a truly unrefined coconut oil. This coconut oil is made on Mt. Banahaw from Organic Coconuts. Coconuts are used fresh (within 24 hours of harvest) from small family farms on Mt. Banahaw and other rural places in Quezon Province, the coconut capital of the Philippines. The volcanic soil of Mt. Banahaw makes these organic coconuts some of the most nutritionally rich coconuts in the world! Testing done in independent laboratories reveals a 50% - 57% content of lauric acid, and higher levels of phenolic antioxidants than most other coconut oils. The fresh coconut meat is shredded (wet milled), and then cold-pressed to make coconut milk. The milk is then fermented for 24-36 hours, and the oil is then separated and filtered from the curds. No chemical or high-heat treatment is used, and this oil contains no trans fatty acids. We do NOT mass produce this oil. It is made by families who are coconut farmers using old-fashioned traditional methods that have been used here for hundreds of years. Our coconut trees and family producers are certified organic according to strict USDA standards. 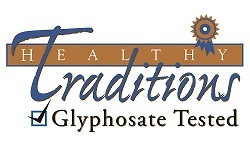 The families who produce the oil are also trained according to GMP (Good Manufacturing Practice) standards and re-certified each year. 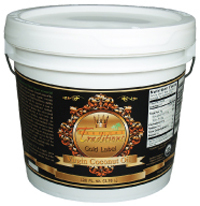 This high-grade Virgin Coconut Oil has a long shelf life due to the high anti-oxidant properties. How it has changed people’s lives, and how it can change yours! These foundational recipes concentrate on sauces, spreads, and vinaigrettes. Developed by a professional chef. You can easily add Virgin Coconut Oil into your diet. Gluten-free recipes using Coconut Flour.